3rd Level New Zealand: Air Kaikoura and it's Parikawa life line. Air Kaikoura and it's Parikawa life line. The Kaikoura Aero Club was established in 1983 offering training and air charter. 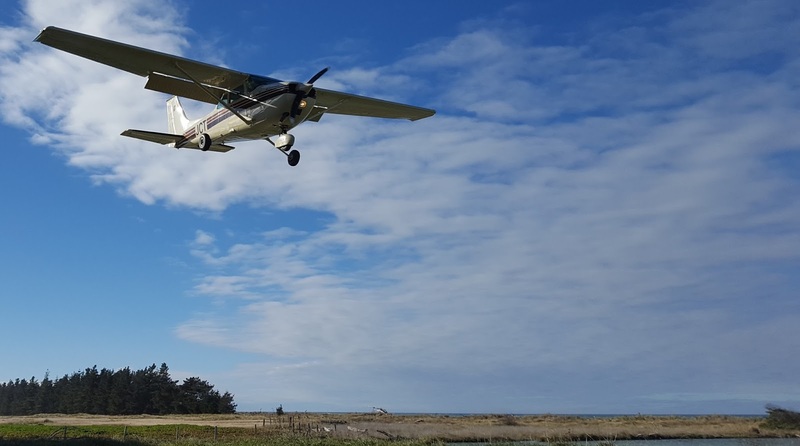 In the early 1990s the potential of whale watching flights was recognised and in 1993 the Kaikoura Aero Club established Air Tours Kaikoura which used the club's Piper PA28 Cherokee 180 ZK-DGM and Cessna U206G Stationair ZK-KAI. The Air Tours Kaikoura operation was soon taken over by local businessman Rodney Harmon. The Kaikoura Aero Club's initial whale watching operation was Air Tours Kaikoura. With the closure of Air Tours Kaikoura in 1999 the Kaikoura Aero Club resumed its own whale watching flights in the early 2000s under the name Air Kaikoura. Following the earthquake on the 14th of November 2016 Kiakoura was cut off from the rest of the country and Air Kaikoura began operating shuttle flights north to Blenheim's Omaka aerodrome and south to Rangiora. From the 4th of December 2016 Air Kaikoura started operating a regular shuttle service between Kaikoura and Parikawa using Piper PA28 Cherokee 180 ZK-DUQ and Piper PA32 Cherokee 6 ZK-DOP. Parikawa is locality north of the Clarence River with a long airstrip. 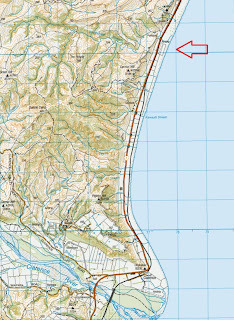 The shuttle flights enabled locals from this area to access Kaikoura while others drove from Blenheim, left their cars at Parikawa then flew around the slips. 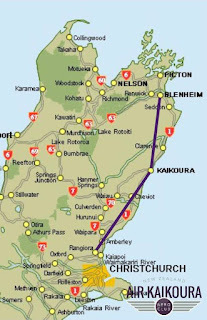 Such flights enabled people to easily do day trips to Kaikoura or Blenheim. To assist with this work the Club bought Cessna 172 ZK-JCT. The 15-minute flight replaced what would have been a 40-minute drive if the road was open. 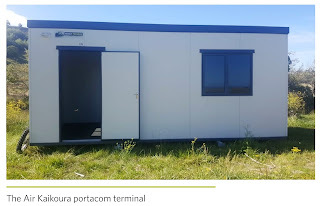 The North Canterbury Transport Infrastructure Recovery (NCTIR) alliance saw the importance of the service and supplied a 'terminal', or portacabin, and portaloo for travellers. Speaking on the Parikawa service Air Kaikōura's manager, Murray Hamilton, said We’re providing a lifeline for people to get between Clarence and Kaikōura. The new service was important as it helped the northern end of the district to feel connected with their own community, and was particularly busy on a Monday and Friday with people getting to Kaikoura to work for the week. Clients included hospital staff, insurance companies and even 20 people heading from Clarence to Christchurch for a Bruce Springsteen concert. "It's really important that they feel more connected to the Kaikoura community. Parikawa is particularly busy Mondays and Fridays running at least four flights on these days. Other days flights are on demand. "It's been great for our relationships with the local community from a club perspective...we have even had more people wanting to learn to fly." By the end of April 2017 Air Kaikoura had operated a 175 flights into Parikawa. During the winter the service was put on a temporary hold due to flooding on the Parikawa airstrip. Kaikoura Helicopter Services introduced a replacement for the route for the weeks the airstrip was closed. By the time State Highway 1 re-opened in mid-December 2017 Air Kaikoura had flown the Parikawa loop service close to 600 times with locals, businesspeople and tourists using the service that operated up to 15 times a day. 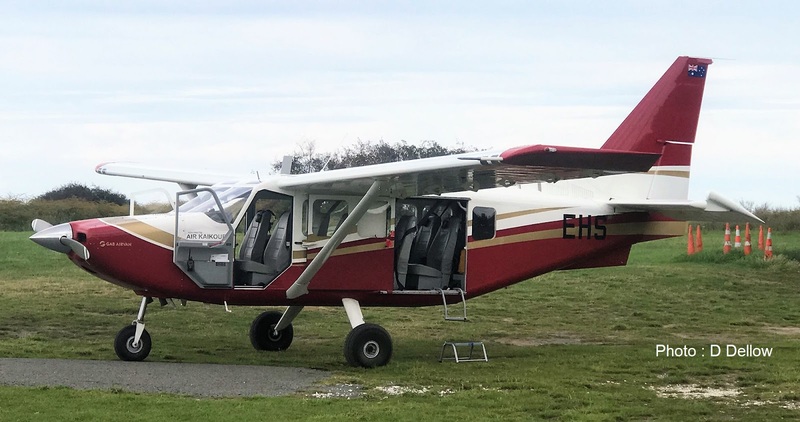 Another feature of the Air Kaikoura operation was the addition of the Aeropro Eurofox A240 ZK-TUG to the fleet and this aircraft is used for pilot training and back country flying. Also, following the earthquake Air Kaikoura have worked closely with Ridge Air of Blenheim. This involved working on multiple charter contracts with Ridge Air as well as coming to an agreement to start Multi-Engine Training, Multi-Engine Instrument Ratings and charter work. 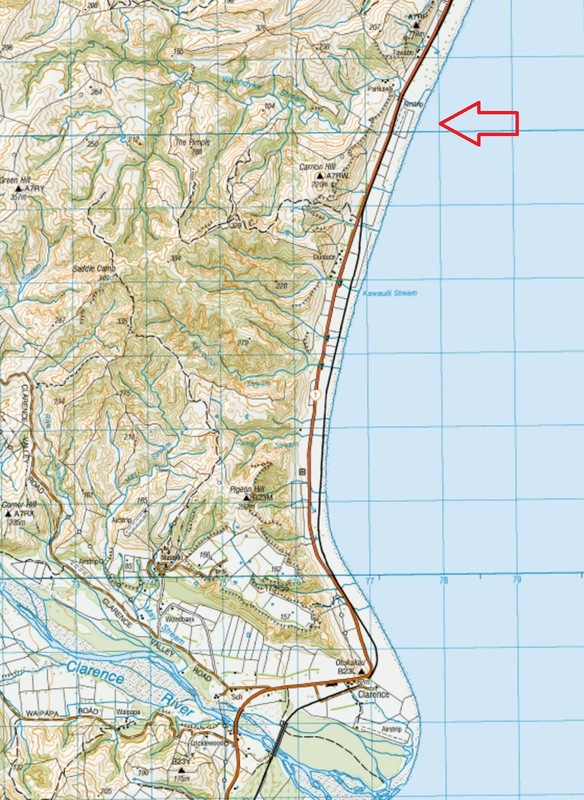 Air Kaikoura is currently looking to build new facilities at Kaikoura Airport. I asked Murray Hamilton whether Air Kaikoura would be interested in starting an air service to Wellington. He said, "Others have tried and failed and we are busy enough with our whale watching flights. Adding a twin to the fleet brings its own problems and a scheduled service doesn't guarantee the numbers we carry on our whale watching flights." From my observation I have never seen Kaikoura as busy as when I drove through on the 4th, an observation shared by the locals. With a booming tourist industry Air Kaikoura's future looks bright. Further development for Air Kaikoura came in late 2018 when Gippsland Airvan ZK-EHS was added to the Air Kaikoura fleet. Being high winged the Airvan is ideal as a whale watching platform. Watching no more - It's Arrived!! !